Chipping 2 follows on relentlessly from Chipping 1 after a brief dip. Up and round the corner and it’s over……oh no it isn’t. Keep plugging away past the skanky farm and up that horrid, little steep bit. With the Bowland hills soaring up on your right and the verdant valley floor to your left, you’ll have plenty to distract you. Or maybe you’ll just focus on your bike computer and chunter away to yourself in a low voice heavy with burning regret. Quack! Quack! Was that the plangent call of a passing duck, or did you just receive a worried text from your wife/husband? Who knows? Who cares? Not us smiler. 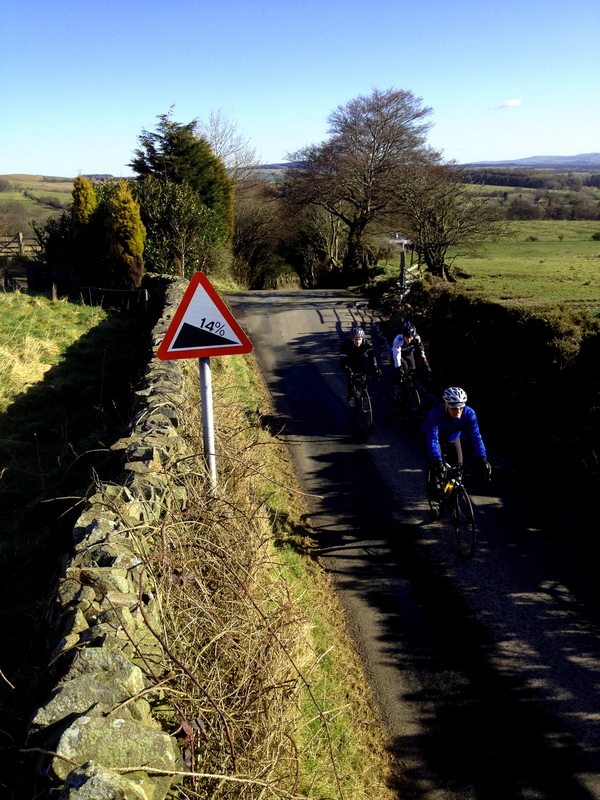 Roll on…..
Posted on May 20, 2013, in Bowland Badass Climbs and tagged bowland, Bowland Badass, Bowland Forest, Bowland hills, Chipping, Cycling. Bookmark the permalink. 1 Comment. I shall work it into conversation tomorrow.